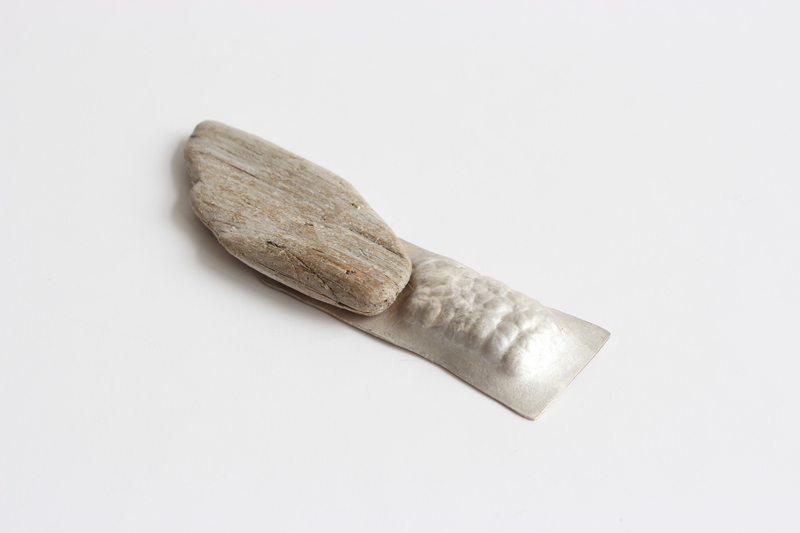 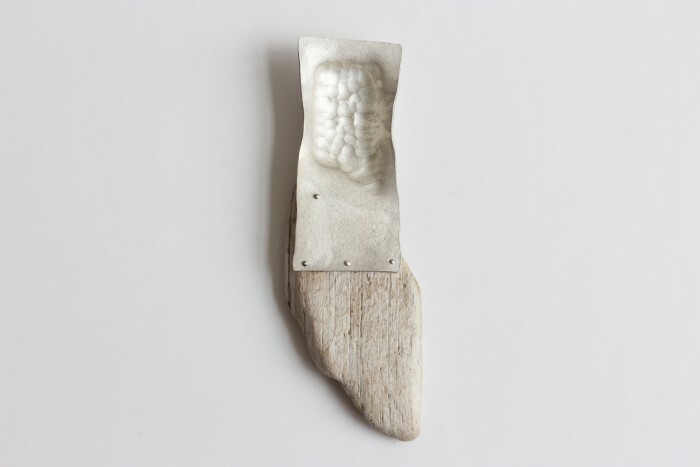 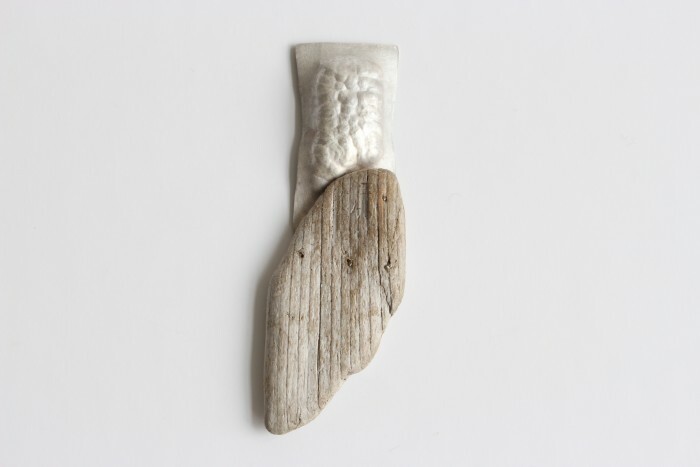 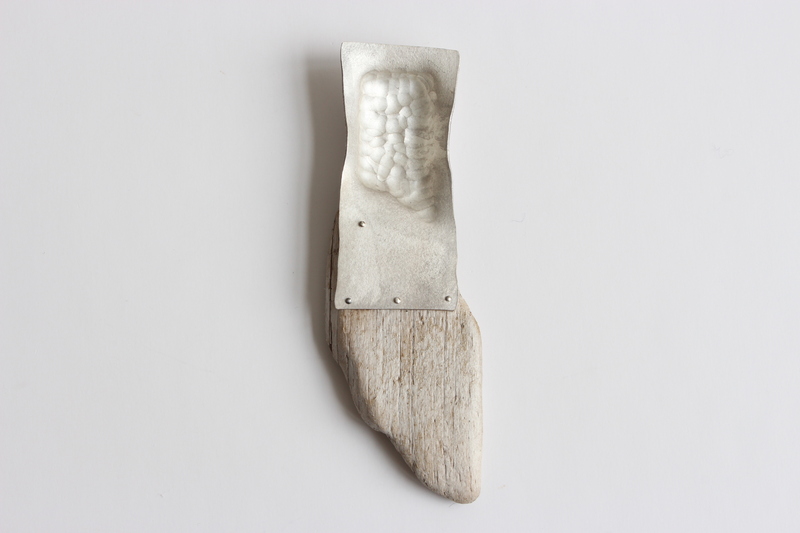 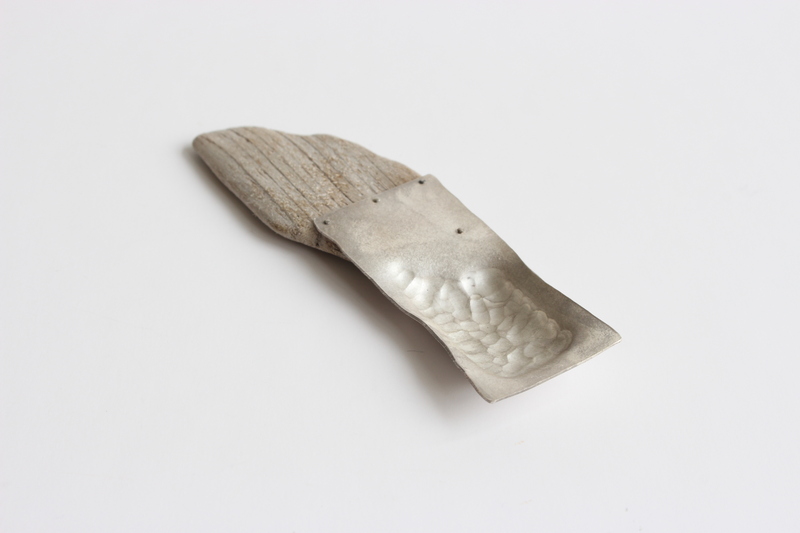 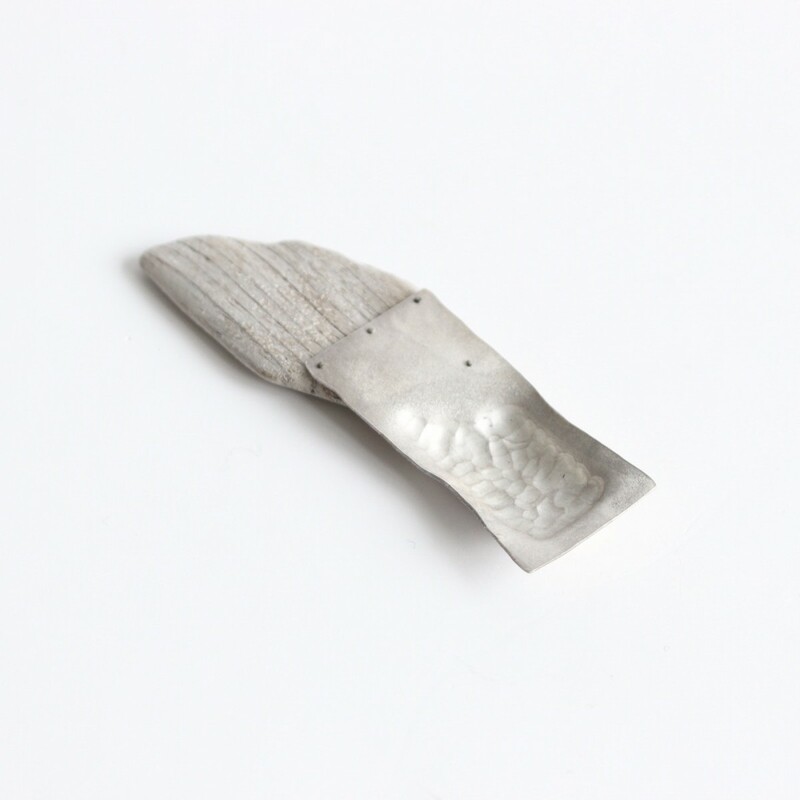 This spoon is made of driftwood, found on Helens Bay Beach in Northern Ireland, and silver. Techniques used: chasing, sinking, hammering, riveting. 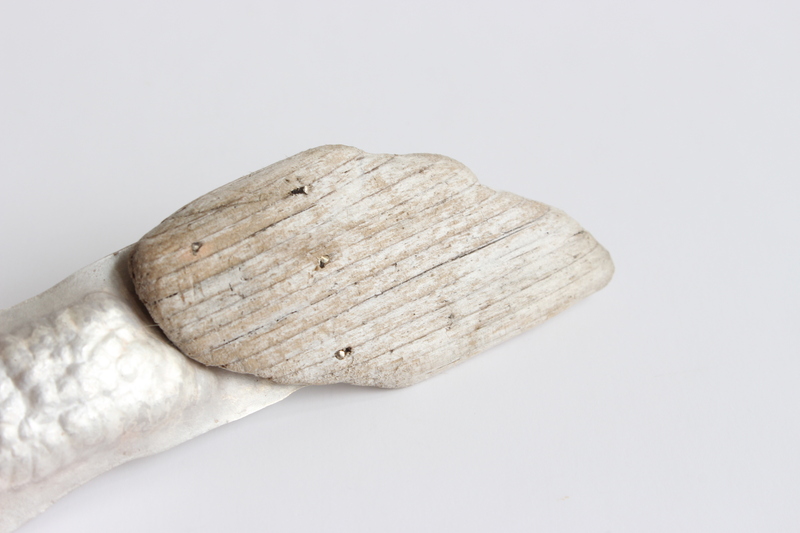 Working time: approximately 4,5 hours.